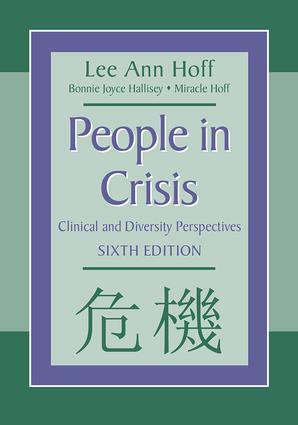 The first edition of People in Crisis, published in 1978, established success as a comprehensive and user-friendly text for health and social service professionals. The book and its following incarnations included critical life events and life cycle transition challenges, clearly pointing out the interconnections between such events, stressful developmental changes, and their potential for growth but also danger of suicide and/or violence toward others. • the intersection of socio-political factors with individuals’ psychological healing from catastrophic experiences such as war and natural disaster.